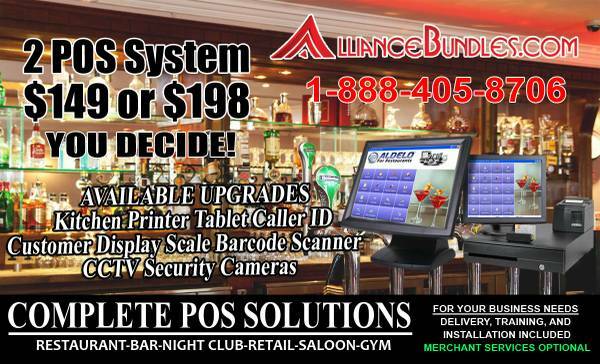 Complete 2 station bundle with Bar Printer or Kitchen ALL NEW Equipment with Full warranty Entire Term. Choose from $198 or $149 lease to own option. Come Checkout our showroom on 192.